Tropical Property Rentals 24 Hr. Emergency # "Our mission is to put more than a decade of experience at your disposal and to become a leader in the real estate rental industry by using tools such as honesty, integrity, faithfulness, compassion, and loyalty to all we represent or do business with." Fishermen`s Community Hospital is closed due to Hurricane Irma. 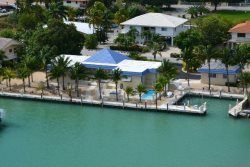 Baptist Health South Florida has opened a field hospital on the grounds of Fishermen`s in order to provide care for the Middle Keys community. The mobile disaster hospital, which was provided by the North Carolina Department of Health and Human Services, includes a five-bed emergency department, a six-bed inpatient unit, diagnostic equipment and a laboratory. The Sheriff`s Office provides law enforcement service to all of the Florida Keys, which include approximately 112 miles of islands branching off the southern tip of Florida. The main highway, U.S. 1 runs from Florida City to Key West, and in that span, there are 45 bridges connecting the islands. In order to provide progressive service, the Sheriff`s Office employs 544 people. 189 of those are road patrol officers and detectives, 139 are Corrections Officers, 158 serve as support 58 people are employed by the Sheriff`s Office-managed HIDTA Group (High Intensity Drug Trafficking Area). The Sheriff`s Office has a fully equipped Special Weapons and Tactics Team (SWAT), as well as a Dive Team, Bomb Squad, Marine Unit, Major Crime Investigations Unit and Special Investigations Unit (specializing in drug investigations). The mission of the Florida Poison Control Centers is to provide exceptional cad for individual patients and for supporting public health through information, surveillance, education and research. The Florida Poison Information Center Network was created by an act of the Florida Legislature in 1989 (FS 395.1027) in response to the overwhelming need for emergency poison information in the state. The Network, incorporates three poison centers located in Jacksonville, Miami and Tampa, and currently receives approximately 500 calls each day from Floridians and residents of the U.S. Virgin Islands. At the Florida Department of Highway Safety and Motor Vehicles (DHSMV) our motto is: A Safer Florida. The words may seem simple, but the work that goes into achieving that mission is much more difficult. The services we provide touch the lives of nearly every Floridian, as well as the millions of visitors who come to our state every year. Ensuring safety on highways and providing quality service to motorists is no small task when you are the third largest state in the U.S. With more than 15 million driver licenses and over 19 million vehicle registrations issued, and more than 30 million miles of roads patrolled by troopers each year, the job of DHSMV may seem daunting, but it`s a challenge our employees gladly accept every day. Vice Admiral Sandra L. Stosz assumed the duties of Deputy Commandant for Mission Support at U.S. Coast Guard Headquarters in Washington, D.C. on June 3rd, 2015. As Deputy Commandant for Mission Support, Vice Admiral Stosz leads the 17,000-person organization that delivers the systems and people that enable the U.S. Coast Guard to efficiently and effectively perform its operational missions. She is responsible for all facets of support for the Coast Guard`s diverse mission set through oversight of human capital, lifecycle engineering and logistics, acquisitions, information technology and security. With more than 60,000 employees, U.S. Customs and Border Protection, CBP, is one of the world`s largest law enforcement organizations and is charged with keeping terrorists and their weapons out of the U.S. while facilitating lawful international travel and trade.As the United States` first unified border entity, CBP takes a comprehensive approach to border management and control, combining customs, immigration, border security, and agricultural protection into one coordinated and supportive activity. Key Colony Beach Police Dept. Mariners Hospital Swing Bed/Extended Care Rehabilitation provides continued treatment if you are unable to care for yourself at home while recovering from an illness or injury. These services may ease the stress for you and your family. Patients recovering from orthopedic surgery, such as joint replacement, or cardiac or respiratory illnesses or those needing IV antibiotic therapy for wound care may benefit from this service. We encourage you and your family to participate in your recovery by partnering with your care team, which may include representatives from physical therapy, respiratory therapy, nursing, wound care, social work and dietary services. This highly skilled team of clinicians works together to personalize your care to suit your unique situation. We work with one goal in mind--to help you heal and regain function in a safe environment so you can return home. Your team will meet with you weekly to discuss your plan of care, recovery and progress.